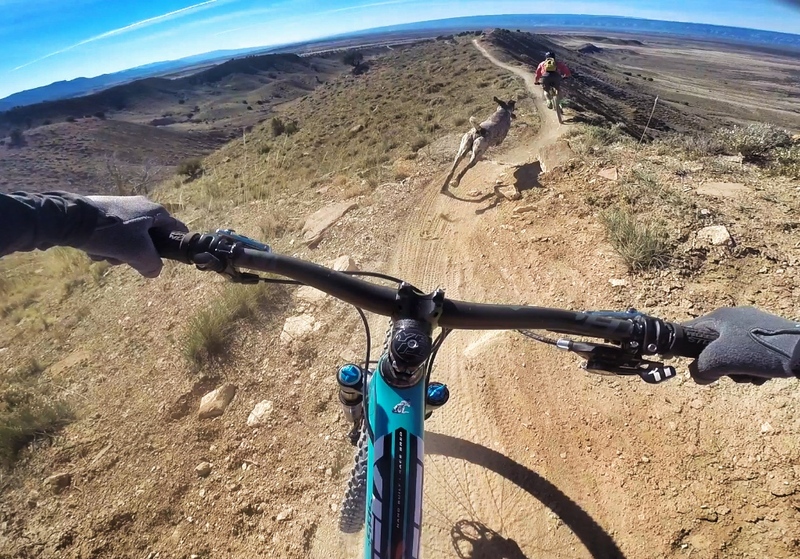 Fruita, Colorado was the first mountain bike destination to which I had ever traveled. I was about 22 years old and very new to the sport. It was an eye-opening and life changing trip for me. 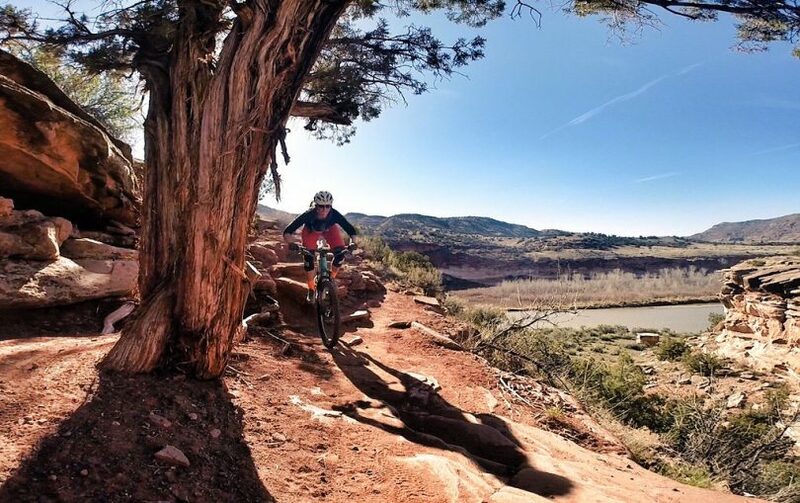 While not as gnarly or well known as Moab, Fruita has a laid back vibe that’s perfect for easing your way into the season. 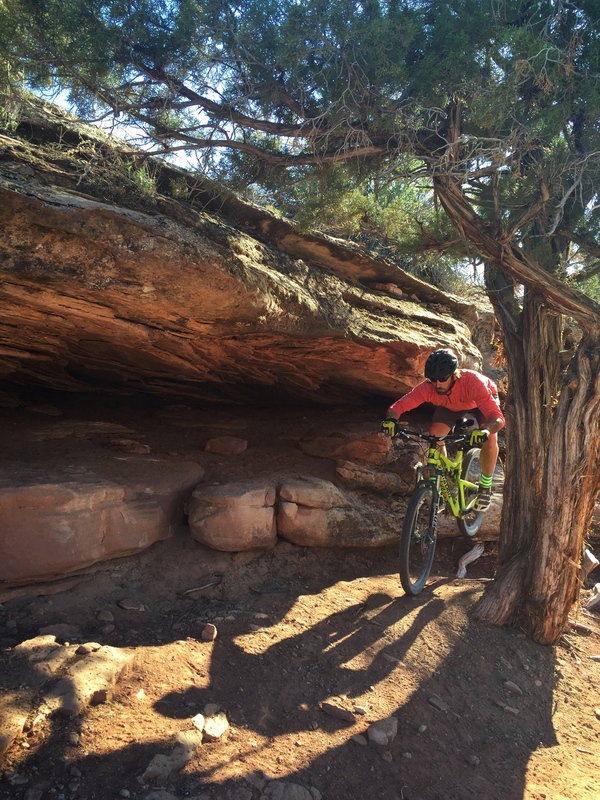 18 Road is probably the best known spot in Fruita, and when you mention a trip to Fruita that is the quintessential trail network most people think of. What makes 18 Road so special is that a mixed-group of riders (from beginners to experts) can have a great time together. With campsites centered around mountain bike trails, it’s easy to go out for a short loop, come recharge at camp and head back out for round 2 or 3 or 4. Trails are flowy and fun with some exposure to get the heart pumping. Definitely a great place to go in the early-season to wake up your neuro-muscular system and get the cob-webs out of your lungs! However, the best and more advanced technical riding in this area is definitely on the south side of I-70 in either Grand Junction (to the east) or Loma (to the west). In Loma you’ll find the well-known Kokopelli Trail system (home of the famed Horsethief Bench drop-in), and even further to the west back towards the Utah the border is Rabbit Valley. This place has some amazing technical riding (if that’s your thing), but route finding can be difficult! BRING A MAP or go with someone who’s been there before. 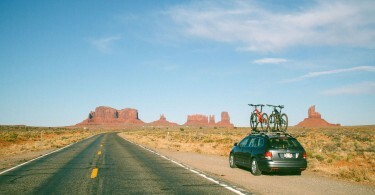 My favorite Rabbit Valley trails are Overlook/Westwater Mesa and Zion Curtain. Be mindful of ATVs and Motos out that way as well. Further east past Fruita is Grand Junction which is home to the trail network known as Lunch Loops. Out here you’ll find famous trails such as Holy Cross and The Ribbon. 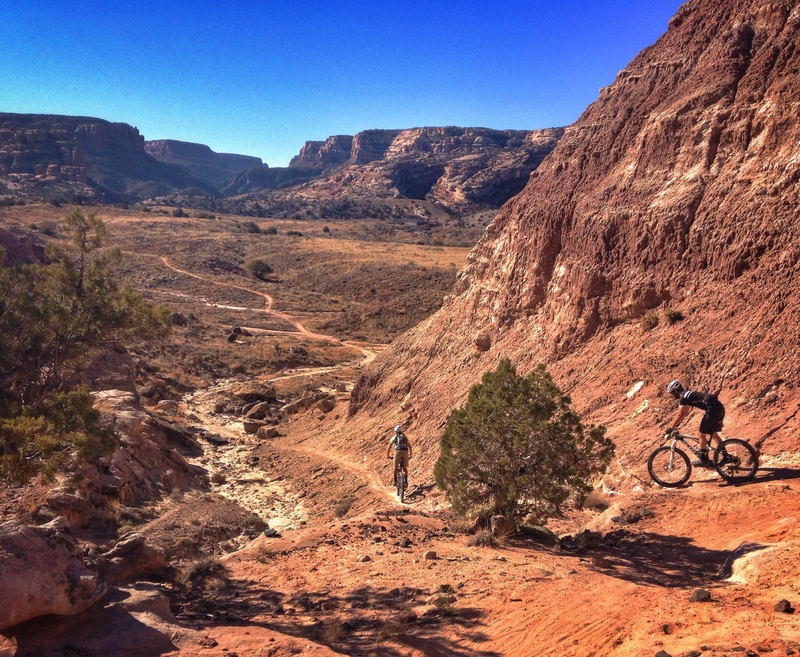 Fruita is best ridden in the spring and fall before the summer heat sets in. At 5,500 feet it’s a touch higher and more storm prone than Moab, so make sure to check the forecast or get in touch with Over the Edge Sports for local trail conditions before making the trip. By far the most popular camping option are the primitive BLM sites out at 18 Road. However, these do fill up quick on the weekends so don’t expect to pull in Friday evening to stake out a spot. The designated sites are $10/night, while spots located further out from the trails that are free and first-come-first-serve. Hot Tomato Pizza (they even offer gluten free!) is the area staple. In addition to a great selection of beers on tap, they offer live music on the weekends and a chill scene to relax and hangout after a day full of riding. Additionally, Palisade Brewery and Peach Street Distillers are must-stops if you’re traveling to the Grand Junction area to ride Lunch Loops. Guiding/Coaching: Boneshaker Adventures – my friends Dawn and Bill Cooper offer guiding around the area as well as skills coaching if you’re looking to take your riding to the next level & conquer that Horsethief Bench drop-in once and for all! 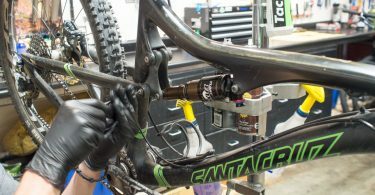 They also offer a 4-hour couples mtb coaching session, which is pure genius. We all know how hard it can be to ride with our significant others at times! Have a local tip or favorite trail of your own? Leave a comment below and let us know what we missed. Jen Hudak was born and raised in Hamden, Connecticut. Always one for adventure, Jen learned to ski in her backyard in Vermont- pulled uphill with a homemade rope tow that her dad proudly constructed. Thank u Jen! This is a wonderful site u have created for us. I am a novice and look forward to the insight and knowledge u have to share w/us!